Voters in local body polls are generally inked on the index finger of the left hand but an exception was made this time due to the general polls, he said. Moreover, in case of a repoll, the middle finger of the left hand will be inked, he added. The local body polls in the state will be for 557 gram panchayats, 82 vacant sarpanch posts, four vacant panchayat samiti posts, three municipal council and various zilla parishad polls, the official said. The three municipal councils which will go to polls on March 24 are Palghar, Sindkhedraja, and Lonar in Buldhana. The district councils are Pune- Dehugaon-Lohagaon Election department (Taluka- Haveli). 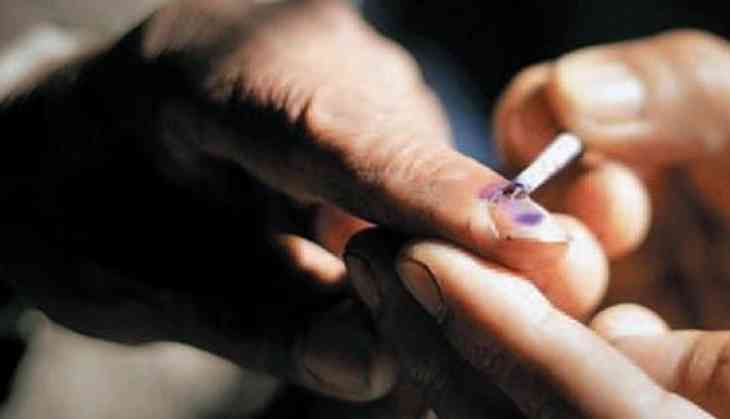 According to officials, the panchayat committees up for polls are Baglan (Nashik) - Pathave Digar Nirvachak Gad and Mohadi (Bhandara) - Varathi and Palora. District 3, Raigad-20, Ratnagiri-11, Sindhudurg-4, Nashik-48, Dhule-18, Jalgaon-12, Ahmednagar-3, Nandurbar-5, Pune-20, Solapur-8 , Satara-44, Kolhapur-3, Aurangabad-3, Osmanabad-2, Parbhani-1, Amravati-1, Akola-14, Washim-32, Buldhana-2, Nagpur-2, Wardha-298, Chandrapur-1 and Gadchiroli - 2.